Central Indiana is home to a surprising number of lake communities, each with its own distinctive character and style. For anyone thinking of buying a lakehouse, M.S.WOODS REAL ESTATE, LLC is the authority on waterfront property in Central Indiana. Let M.S.WOODS serve as your starting point for learning more about some of the nicest lakeside communities in the greater Indianapolis area. Whether as a primary residence or second home, owning a home on the lake is not only an excellent investment, but an opportunity to enjoy life in a beautiful, lakeside setting and all that comes with it. You don't have to own a boat, but we're betting you'll want one sooner or later, after settling into your new home. We invite you to view all our lake homes for sale. As always, we are happy to answer any questions you might have about buying a lakehouse in Central Indiana. Never miss a new lake home in Central Indiana! Homes at Charlevoix Lake are just a hop, skip and jump from I-465, just south of Fall Creek Road. This very pleasant lakeside neighborhood also happens to be located just south of the Hillcrest Country Club and east of Fort Harrison State Park. Homes in Clearwater Cove are conveniently located close to Hamilton County, on the northeast side of Indy. If you enjoy taking the boat out on a nice day then you'll enjoy living in the Clearwater Cove area. Homes in Clearwater Pointe are great for anyone who appreciates life on the lake, with the convenience of being located in a major metropolitan area. 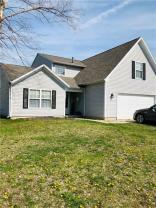 Clearwater Cove is conveniently located near the Castleton area of Indianapolis, Indiana. Homes in Crystal Lake offer an excellent combination of price and location. Situated on the far northeast of Indianapolis, just south of Fishers, these lakeside homes are conveniently close to I-69 and I-465, which means getting around is a snap. Eagle Creek real estate has the number one most sought-after thing that buyers look for: Location. On the far northwest side of Indianapolis, right outside the I-465 beltway, these homes are not only conveniently located, but come with great, lakeside views. Foxcliff Lake homes are located in Martinsville, immediately east of the beautiful Foxcliff Golf Course. If you like the convenience of living in Martinsville, but prefer the quality of life that comes with a lakeside home then you'll love Foxcliff Lake. Geist homes are among the most sought-after waterfront properties in Central Indiana. Geist Lake is located on the northeast side of Indianapolis, and extends into the south side of Fishers, Indiana. Harrison Lake is home of the popular Harrison Lake Country Club on the westside of Columbus. This upscale club features an 18-hole, private, regulation golf course that features 6,477 yards of golf for a par of 72. The course has been a popular destination of Indiana duffers sice 1947. Heritage Lake is a private, 320-acre lake located west of Danville, Indiana, just an hour's drive from downtown Indianaplolis. With sandy beaches, a marina, and nature preserves, this community is a wonderful place to live or vacation. Indian Lake is a reservoir in Marion County. It was created in 1929 by damming Indian Creek, a tributary to Fall Creek. It's located approximately 5 miles northeast of Indianapolis and southwest of Geist. Prior to the creation of Geist Reservoir in 1943, Indian Lake was the largest body of water in central Indiana. Island Lake homes are located just south of the intersection of Dandy Trail and I-74. This makes commuting a snap, while at the same time affording a very pleasant waterfront experience for anyone who appricates a home with a view. Lake Clearwater homes offer spectacular lakeside views and plenty of room for boating and fishing. Lake Clearwater is not far from Fishers, Indiana, on the northeast side of Indianapolis. It is a great location for north-siders. Lake Edgewood real estate is perfect for anyone who loves country life and all that comes with it, like scenic views, fishing, and peace and quiet. This area is great for family gatherings, and is conveniently located close to town, in Martinsville. Homes in Lake Kesslerwood come with great views and quiet neighbors, which means lakeside relaxation has never been easier. Lake Kesslerwood homes are located just northeast of the intersection of 56th Street and Binford Boulevard. Lake Maxinhall homes are situated right off a fully-stocked, 17-acre lake and offer an opportunity for boating, fishing, swimming, or even just sitting around and watching the fish jump out of the water. Lake Maxinhall homes are at 56th Street and Allisonville. Lake Stonebridge homes are located in the Fishers, Indiana, which means owning a home in this beautiful lakeside community comes with all the advantages of living in Hamilton County--things like a great school system and thriving, historic community. Lake Woodland homes are located just southeast of East 116th Street and Keystone Parkway, in Carmel, Indiana. These beautfiul lakeside homes are for those who appreciate lakeside living, combined with the advantages of living in Carmel. Lamb Lake real estate comes with the luxury of being located right off a 500-acre lake that is great for water skiing, fishing, swimming and good old fashioned lake relaxation. Plus, this private lake area is just 45 minutes from downtown Indianapolis. Little Nebo Lake homes are located in Jackson, Indiana, just 10 minutes from Martinsvile. Homes with mature trees, plenty of shade and great waterside views are what you get at Little Nebo Lake--not to mention a great place to fish! Morse Lake real estate is for anyone who takes life at the lake seriously, with its breath-taking views and impressive, 1,500-acre expanse of water for boating, jet-skiing, etc. Morse Lake is located just 20 miles north of Indy and just south of Cicero. Nantucket Bay homes combine the joy of living in a lakeside community with the convenience of being located on the northeast side of Indianapolis, Indiana, not far from the town of Fishers, Indiana. Homes at Oxbow Lake offer the advantages of living in an area of Indy that has a lot going on almost all the time. While these homes are nicely situated on the northern edge of Broad Ripple, they are at the same time quitely removed from the busyness. Painted Hills Lake homes are located in thei very popular lake community, which features a nice expanse of lake for boating, skiing, fishing or relaxing. Homes in the Painted Hills Lake area are conveniently located in just 10 minutes from Martinsvile. Princes Lake real estate is not your typical Central Indiana lake area. While homes in this quiet lake community are off the beaten path, they are also within easy commuting distance to both Camp Atterbury and Indianapolis. Enjoy lake life and all it has to offer. Sandy Point real estate combines the best of both worlds: The simple pleasures of life on the lake, such as like boating, fishing, etc., and the low-maintenance life that comes with owning a condo. Sandy Point is located on the northeast of Indy. Shireman Estates Lake homes provide picturesque views of the lake and ample wooded areas. This popular lake community comes with a 35-acre, fully stocked lake and is perfect for lakeside dwellers who need to be close to downtown Martinsville. Spirit Lake is known for its highly-coveted homes in Washington Township's Broad Ripple commumnity. These hard-to-find homes offer fabulous waterfont views close to the Monon Trail. Sweetwater/Cordry Lake real estate is situated around these twin lakes, just west of Camp Atterbury. Many of these beautiful lake homes come equipped with docks, so boating is hassle-free. Tall, mature trees also abound at this very desirable lake area. Waterstone Lake real estate comes with the built-in advantage of being located in the fine city of Carmel, Indiana. Oh, and did we mention the gorgeous lakeside views? Waterstone Lake is located just southeast of 126th Street and Gray Road. Almost an acre lot natures beautiful landscape, including a lakeview! Home is in need of repair and has some issues. Home is being SOLD "AS-IS". The location has great opportunity. 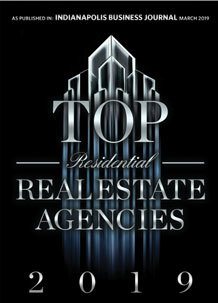 J S Ruiz Realty, Inc.